L. V. Massengale graduated from Texas A&M with a Mechanical Engineering Degree and worked as an engineer for one of Soul’s Harbor founders Ralph Whittle. Mr. Whittle owned a construction company in Dallas. On the Soul’s Harbor Board of Directors from 1961 to today. 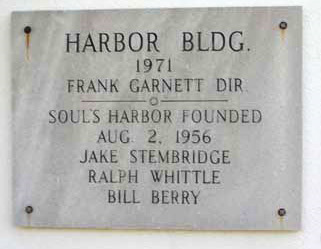 President of Soul’s Harbor from 1986 to 2008. Thank you so much for your financial consideration. Note, your tax-deductible contributions may also be submitted through PayPal to gro.s1555898379allad1555898379robra1555898379hsluo1555898379s@eta1555898379nod1555898379. *Please note: Users of Internet Explorer 8 and above may experience difficulties with our PayPal “Donate” button. Please access PayPal directly to make a financial contribution to Soul’s Harbor, Inc. Thank you!